From left are, Gail Goebricher, Jackie Wallace, Inga Back, Dorothy Bonney, Tammy Thompson, Sonia Robinson, Tammy Elowsky, Kristin LaBarge, Iraina Gerchman, Sabine Ingerson. OSWEGO – The Zonta Club of Oswego displays a torch that commemorates the 100th Anniversary of Zonta International. 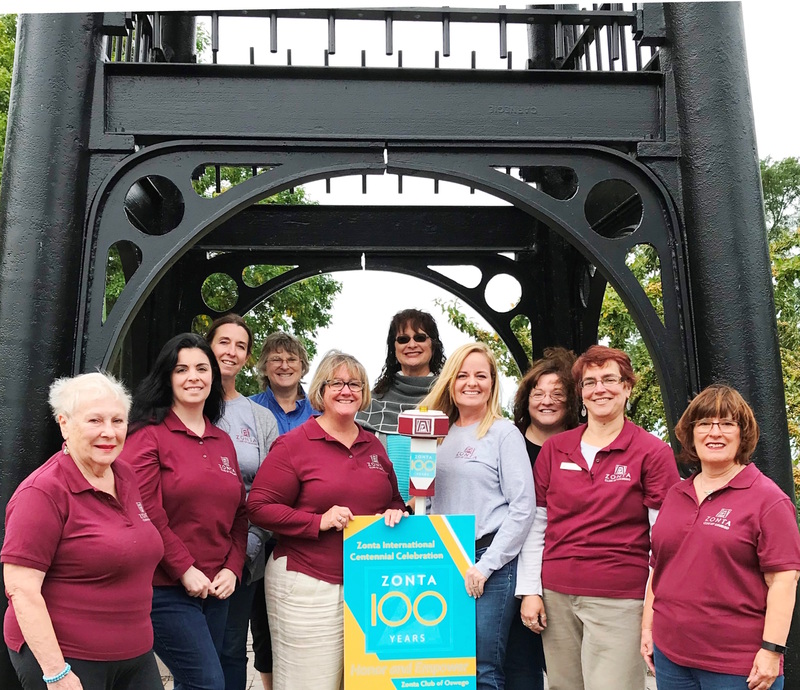 Each club in Zonta International’s District 2, which includes most of Upstate New York as well as Ottawa and Montreal Canada, will keep the torch for one month throughout 2018 and 2019 as part of the celebration of the founding of Zonta International in Buffalo, NY in 1919. The Oswego Club will display the torch in windows of Wayne’s Drug and The River’s End Bookstore and will also hold a ceremony on September 20 at the Oswego Farmers’ Market. For more information about the Zonta Club of Oswego, visit www.facebook.com/ZontaClubOfOswego.